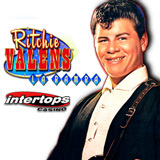 Intertops Casino is introducing the new Ritchie Valens La Bamba slot from Realtime Gaming with a choice of introductory bonuses that include up to 50 free spins. Bonuses are available until March 31, 2018. Free spins winnings are subject to 10X wagering requirement. Wagering requirement for the deposit bonus is 30x deposit + bonus. 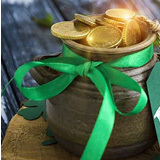 The St Patrick’s Day Casino Quest at Intertops Poker and Juicy Stakes Casino this weekend will pay Blackjack players a $50 bonus for hitting a Four Leaf Clover combination. To get the $50 blackjack bonus, you need to hit Natural Blackjacks in Diamonds, Spades, Hearts and Clubs on St Patrick’s Day this Saturday, March 17th. You can win your Casino Quest bonus playing any of the three Blackjack games under the Lucktap tab in the poker software: Regular Blackjack, Double Draw Blackjack and Perfect Pairs Blackjack. There is an optional re-draw on hand 15, 16 and 17 in Double Draw Blackjack and in Perfect Pairs Blackjack a natural pair pays 5:1, same-colored pairs pay 10:1 and a perfect pair (both cards the same suit) pays 30X.